Poppy’s Gourmet Corner, a local bodega located at 191 Avenue A, is situated only one block from the new 7-Eleven scheduled to open in June. The owner of Poppy’s, a gentleman named Mike, has lived in the neighborhood for over thirty years, twenty-five of those years he spent running another bodega on 10th Street and Avenue A. 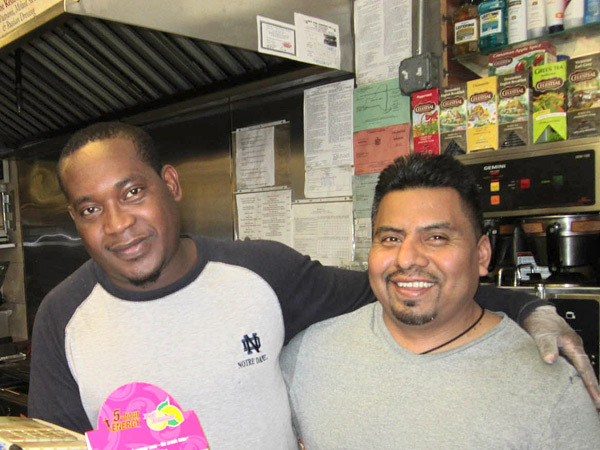 Today Mike is enjoying the conversation he’s having with his employees, Salvador and Philip. With their help Mike’s business runs smoothly. They are loyal to Mike and they really enjoy working together. All three of them have a symbiotic relationship rotating through register, grill and restocking – noticing where help is needed and making sure to be there. They are committed to Mike and Poppy’s. Mike has been the owner of Poppy’s Gourmet Corner for the last 4 years. The local bodega is named after his grandfather, Poppy, a pet name. He offers me a free coffee as we talk. I take it gratefully. It is good! Mike gives us the dish on the previous owners of the building his bodega resides in. 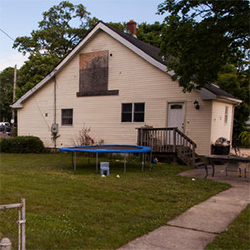 The previous owners gave the building to their son who was just in it for the money. They took advantage of the woman who owned Bar on A, now the 7-Eleven construction site at 170 Avenue A. According to Mike they gave her a crummy deal and a promise of an apartment but didn’t keep their word. An older gentleman enters the store and Mike’s eyes come to life. A few more loyal Poppy’s customers drop by. Michael, a serious regular who works right next door at Stand Up MRI, stops by to pick up a bagel with cream cheese. “These are cool people,” Michael says of Mike, Salvator and Philip. “I’m not going to go all the way down there,” he says jokingly pointing across the street where the 7-Eleven is being constructed. Cynthia, a young woman in her 20’s who is also a loyal Poppy’s customer, walks in and hears us talking. “What will 7-Eleven have that they don’t have here? I’ll still shop here when 7-Eleven opens.” Cynthia points to Mike. “He greets me! And he’s the only one who get’s my coffee right,” she says. Mike smiles. Another happy customer. 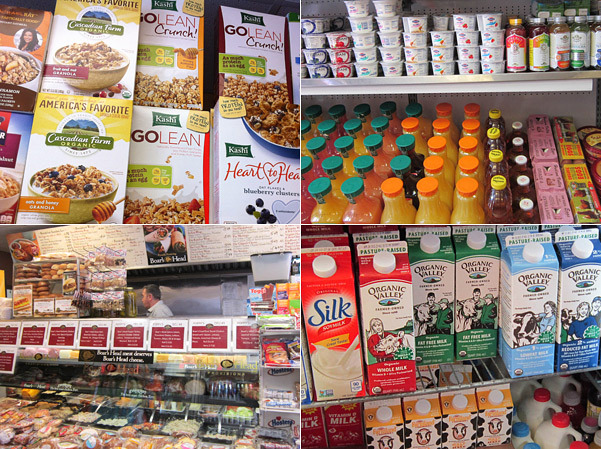 Categories: Neighborhood Profiles | Tags: Bodega, Poppy's Gourmet Corner | Permalink. 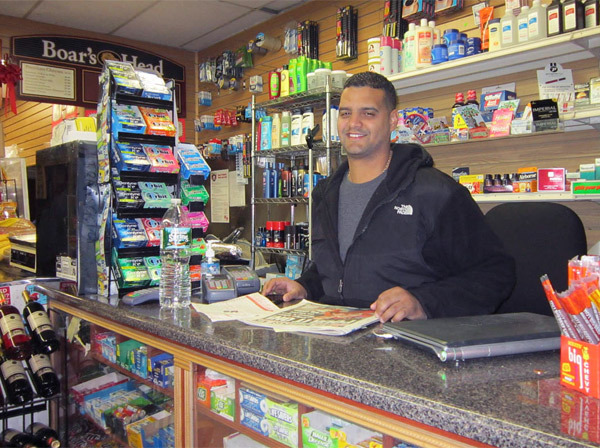 Bodega Profile – 528 East Eleven Deli Corp.
Thomas Gonzales grew up on Broome Street on the Lower East Side of Manhattan. 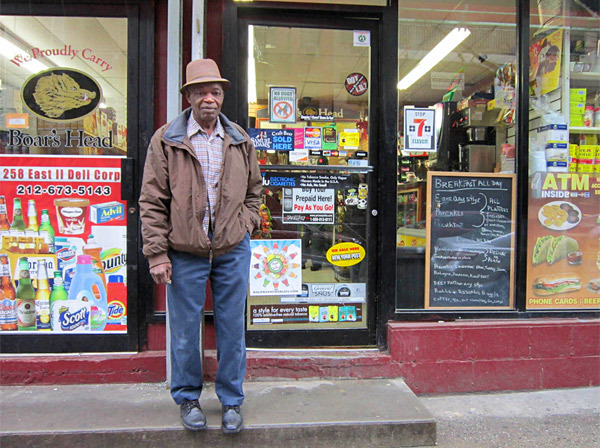 He owns two local bodegas, 528 East Eleven Deli Corp. and the Broome Street Grocery. He appears to be young for his accomplishments. 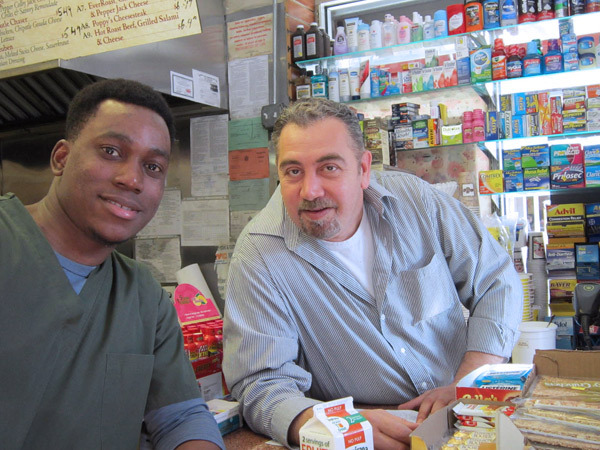 We recently caught up with him at his 11th Street bodega. With three employees Thomas runs a relaxed, tight ship. You can often catch him behind the counter, working the register and conversing with his local customers and friends. His charming personality and twinkling eyes are very welcoming. 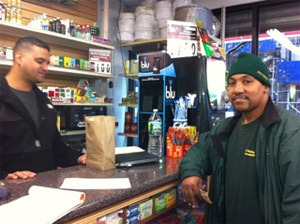 Thomas’s customers are loyal and over the 7 years he has owned his bodegas, most have become close friends, like Jessica who lives across street from the 7-Eleven construction site. Drinking her morning coffee she was surprised to hear a 7-Eleven was coming to a neighborhood already served by a number of bodegas. Thomas smiles at this. He knows his customers and he knows what they need – good homemade comfort food. While we chat more customers stream in. Thomas knows them all, from the local old timers to the students on their way to class. They come to his bodega to buy their freshly made breakfast sandwiches – steak and eggs – tostones (plantains), coffee, milk and juice. 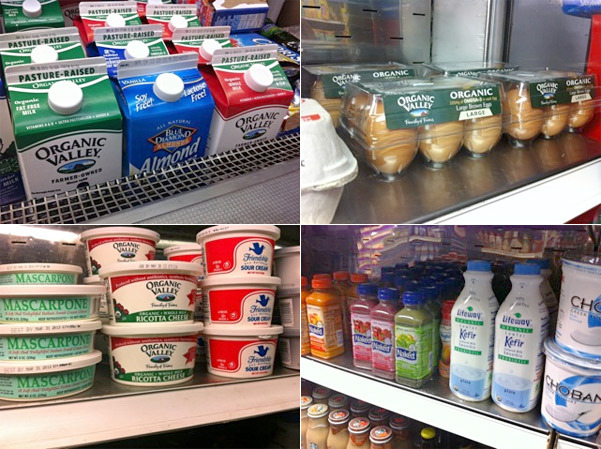 Thomas recognizes the customers who live in the neighborhood and tries to accommodate their various and changing needs by selling everyday organic products like milk, eggs and cheese. More customers stop in. Rockman is a devoted 11th Street customer. He works at the delivery company RDS on 11th Street between Avenue A and 1st Ave. He orders his two sandwiches, steak and eggs for himself and an egg sandwich for his co-worker. From his place of work Rockman passes the 7-Eleven construction site to get to this bodega. 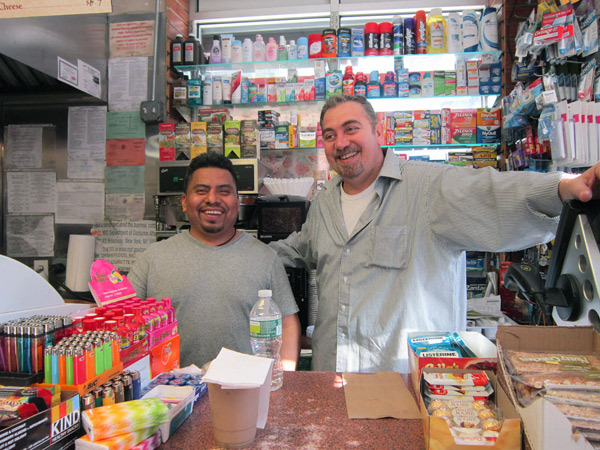 He goes out of his way to shop here “because of its good people, familiar faces and its good, fresh, cheap food!” He shops here because this is his neighborhood bodega and he is committed to its success in the neighborhood. Vincent, an older distinguished man pops his head in. 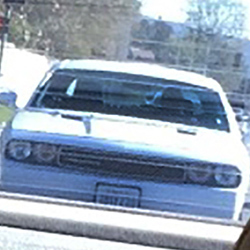 “Thomas, where’s your car?” he asks. “I left it home,” says Thomas. “I’ll give you a ride to Broome Street. My car is across the street,” says Vincent. Thomas takes the ride with Vincent, his customer, friend and neighbor. 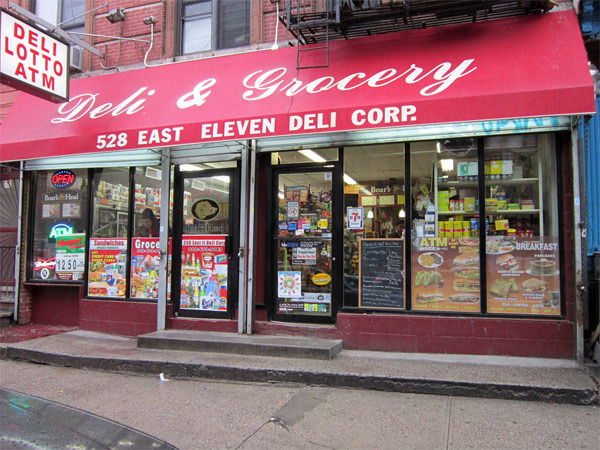 Categories: Neighborhood Profiles | Tags: 528 East Eleven Deli Corp., Bodega, Broome Street Grocery | Permalink.